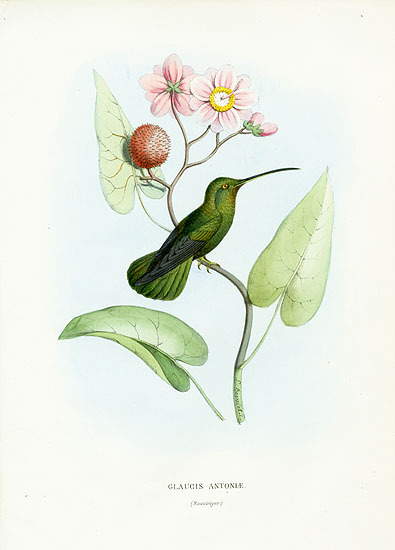 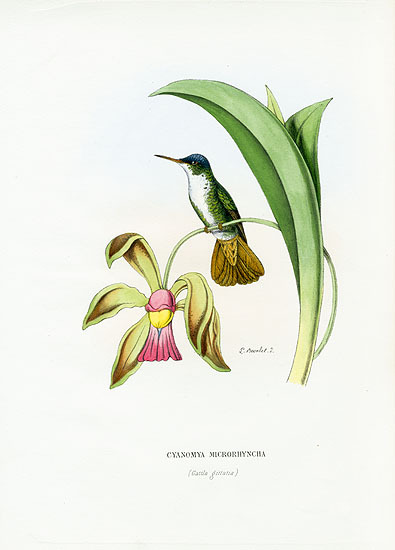 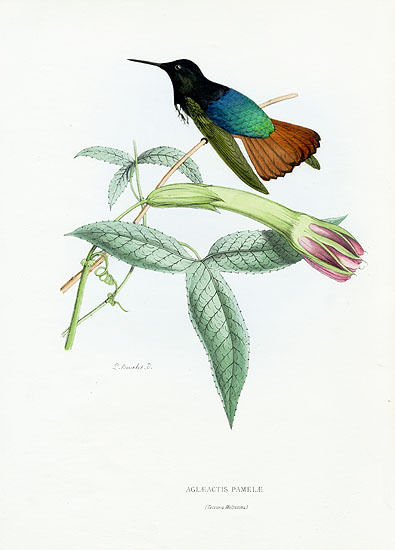 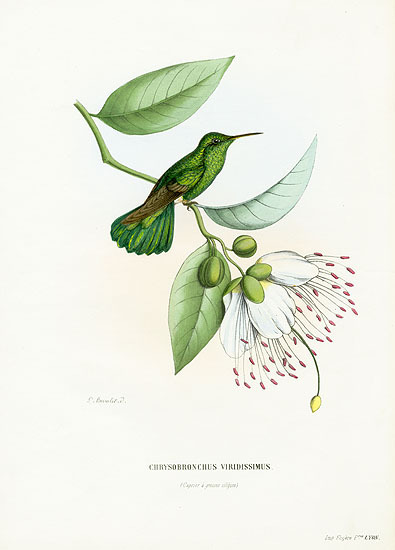 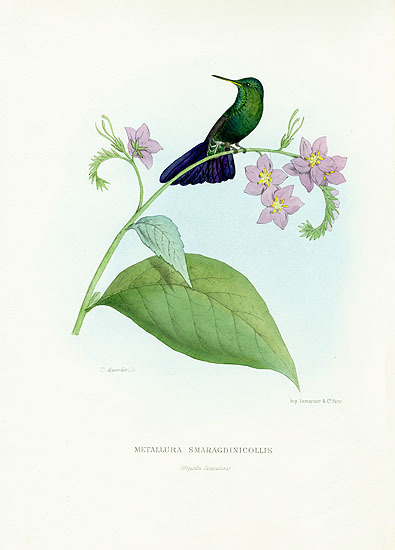 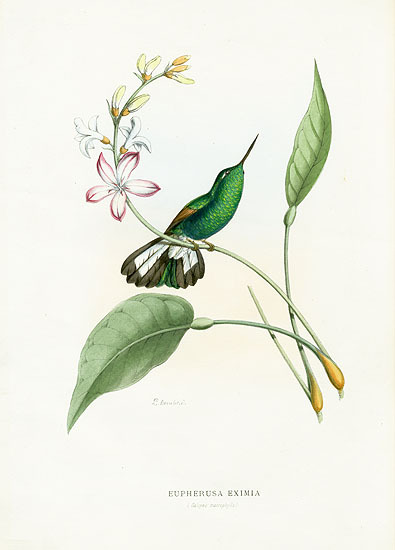 We are delighted to present hummingbird prints from this extremely scarce and famous work, Histoire Naturelle des Oiseaux Mouche ou Colibris, very much in the style of Gould's hummingbirds and just as beautiful. 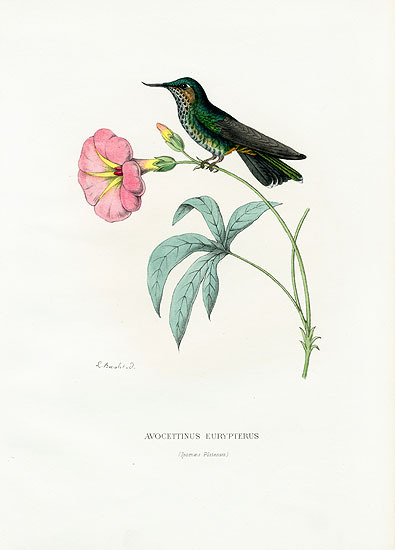 It was issued in 21 parts between 1875 & 1879, with 120 superbly hand colored lithographs by L Bevalet & Mesplis. 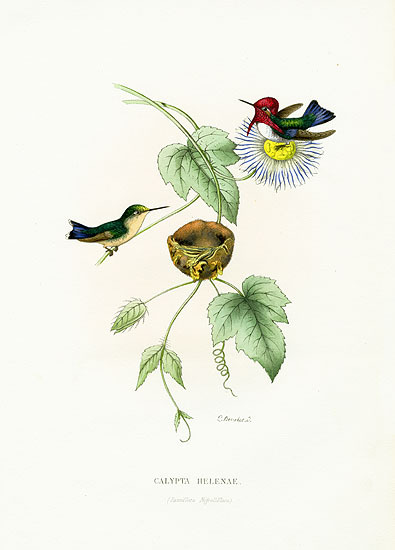 Each hummingbird is vividly hand colored in brilliant hues, heightened with gum arabic. 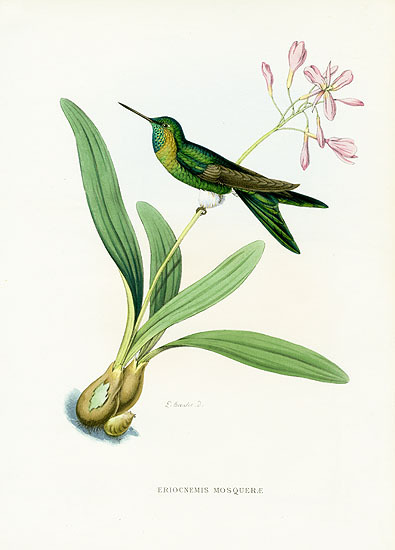 Each print measures approximately 9 inches wide by 12 1/4 inches long.